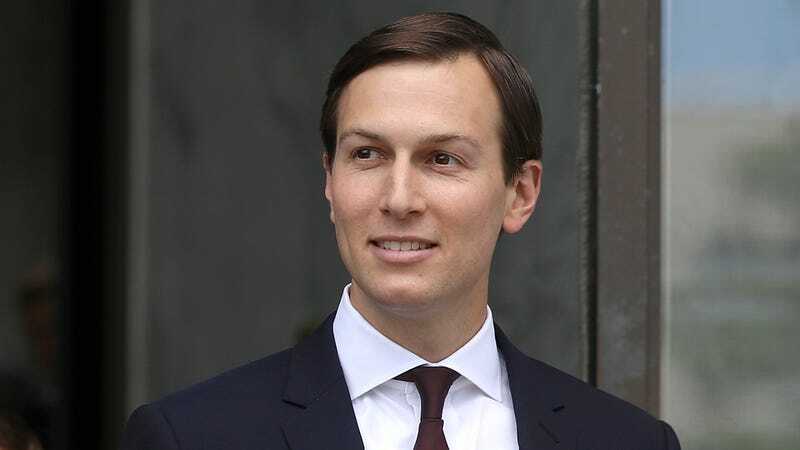 WASHINGTON—Following a period of uncertainty during a months-long FBI background check, Senior Adviser to the President Jared Kushner told reporters Thursday he’s excited to finally visit the White House after gaining permanent security clearance. “Oh, my God, I can’t believe I’m going to see where the president works,” said an elated Kushner, adding that his mind raced while imagining himself strolling through the halls of the West Wing or standing outside the “real-life, honest-to-goodness Situation Room.” “I can’t wait to check out those big columns out front. I doubt I’ll be allowed in the Oval Office or anything like that, but it’s still going to be so awesome to just walk on the South Lawn. I mean, I’ve obviously seen the place in movies, but I bet it’s way different to be where the magic happens. I might be in the same room as an actual cabinet member! How cool is that?” At press time, the FBI had revoked Kushner’s security clearance after deciding his overzealous behavior posed a high risk.